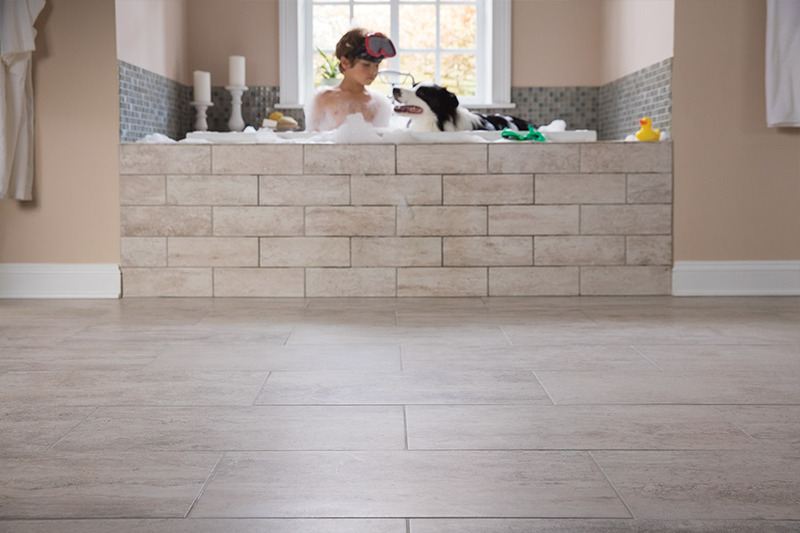 Tile creates a beautiful and durable floor that will last for the life of your home. 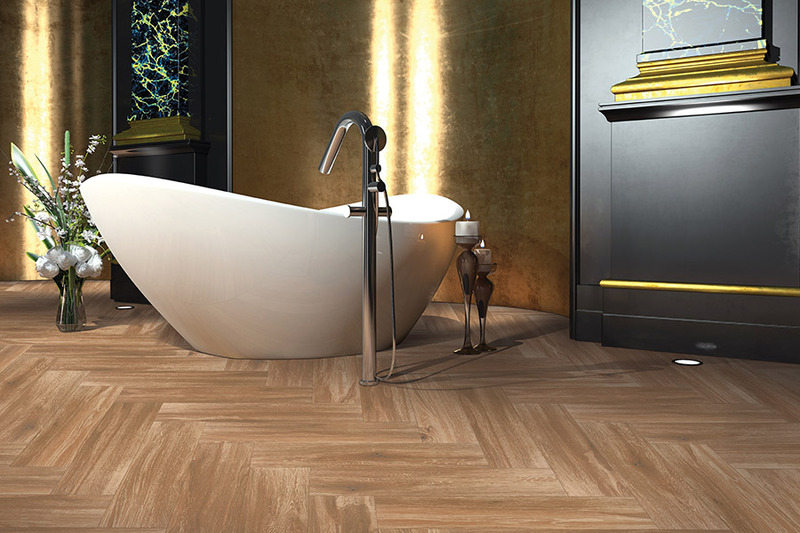 Our porcelain and ceramic floor tiles are available in an array of tile colors that are very decorator-friendly and encourage custom design effects. Durability & Abrasion resistance. If the right product is chosen it could easily last a lifetime. Stain Resistance – Is the most stain resistant building product in the world. Dirt Resistance – Porcelain and ceramic tiles do not retain dust or residues. Plain water is generally all that is required to keep the tile clean. Slip resistance – Is comparable to most and significantly better than some. Color Permanence – Most colored materials will be altered by long exposure to light; colors in ceramic tiles are unaffected and will not change or fade from exposure. Water absorption – The glaze on ceramic tile is non porous. Hygiene – the face of porcelain and ceramic tiles will not retain liquids or absorb fumes, odors, or smoke allowing for good hygiene. 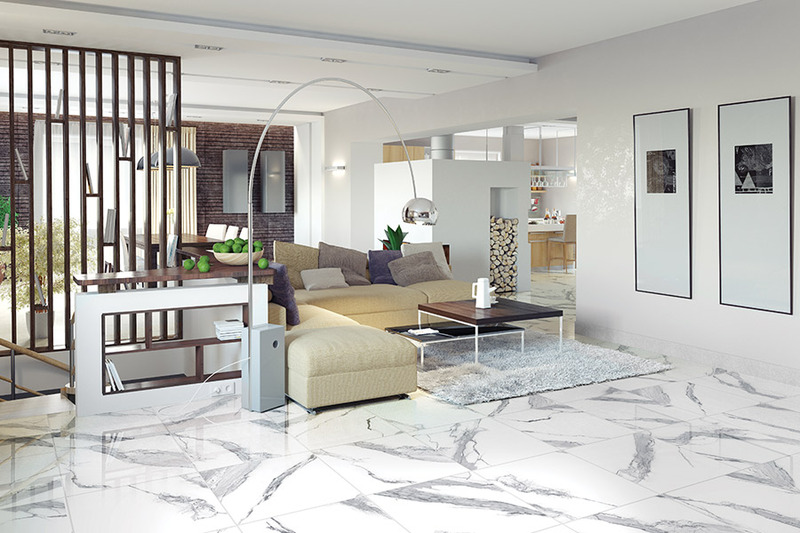 Why choose porcelain and ceramic tile? Tile balances between form and function. Porcelain and ceramic floor tile more so than any other flooring type is manufactured to withstand a variety of environmental conditions. For instance, ceramic tile is extremely wear and scratch resistant. Its color permanent and virtually impossible to stain or discolor. Tile is also easy to clean, and never needs polishes or waxes. In addition, tile promoted improved indoor air quality by reducing dust and other allergens. From the perspective of form, tile is a component of design and thus serves an aesthetic purpose. Using ceramic tile, your customers can personalize their homes to reflect their lifestyles, tastes, preferences, and budget. How much tile? A large amount of tile flowing from room to room will open up the house and establish the environment. The floor can be a focal point, or it can serve primarily as a complement to your furnishings and décor. What style of tile? Tile is available in a variety of styles including rustic, old world, Mediterranean, southwest, contemporary and formal, to name a few. Large or Small Tile? The larger the tile, the fewer grout lines you'll have. Large format tiles are ideal when tiling larger areas, but you should consider using them in smaller rooms as well. How is the lighting? Lighter colors can open up a living space. Darker colors work well in rooms with lots of natural light. How to coordinate? Consider the colors of wall coverings, other flooring, cabinets, and lighting. Also consider the overall appearance of the interior environment that's desired. 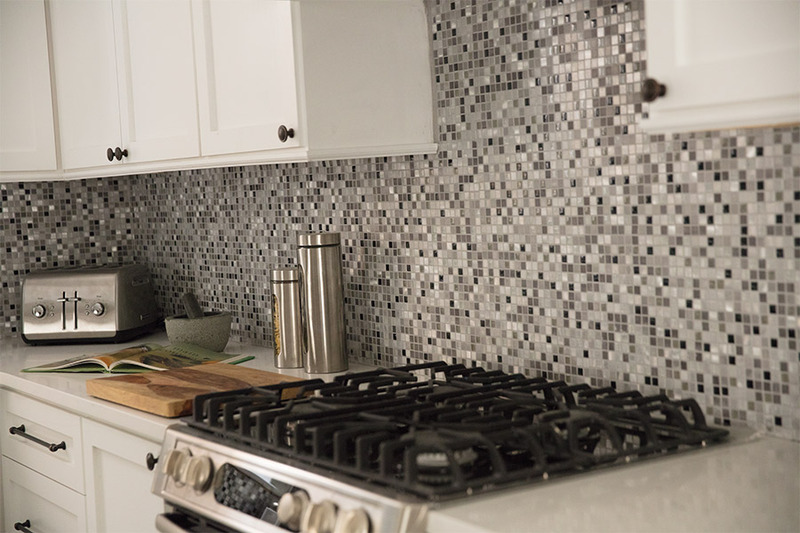 Tile is available in hundreds of colors, styles, and textures. So it's virtually certain that there's a tile that will suit your requirements.